Ritchie Blackmore’s return to rock action was one of the most welcome surprises of recent years. I’ve got tickets to see him in June. I’m massively excited about it and nothing’s going to change that. Which is probably just as well because Ritchie Blackmore’s Rainbow have now released their first new studio recordings in 20 years and the results are far from thrilling. Land Of Hope And Glory is a band version of the classical piece that they’ve been using as the intro tape to their shows. It’s got a nice pastoral, laid-back Hank Marvin vibe going on and some tasteful playing from Ritchie. It’s… nice? Next up is a new version of I Surrender with Ronnie Romero at the mic. The Joe Lynn Turner-era classic was notable by its absence in the Memories Of Rock: Live In Germany set so it’s interesting to finally hear what Romero does with it. The whole band delivers the song capably enough to imagine it going down well live but it’s not particularly exciting as a listening experience. And Romero is not at his best with the sexier end of Blackmore’s output. His performance here has little of JLT’s seductive bombast. It’s tentative and disposable stuff from The World’s Greatest Guitarist®. I’m still looking forward to finally seeing The Man In Black live but if Ritchie and Rainbow are planning to put out more new music, it’ll need to be more exciting than this. 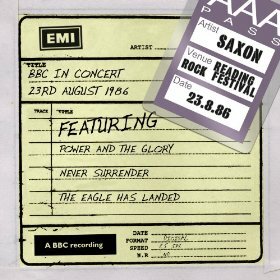 Only a year had passed since Saxon’s 1985 Hammersmith show was broadcast on BBC Radio but Saxon invaded the UK’s airwaves yet again as their headlining slot at 1986’s Reading Festival was recorded for broadcast on the BBC Friday Rock Show. The band were touring to promote the imminent release of the Rock the Nations album and, while that patchy album found them losing their Midas touch in the studio, on BBC in Concert (23rd August 1986) it sounds like they were losing none of their knack as a live act. 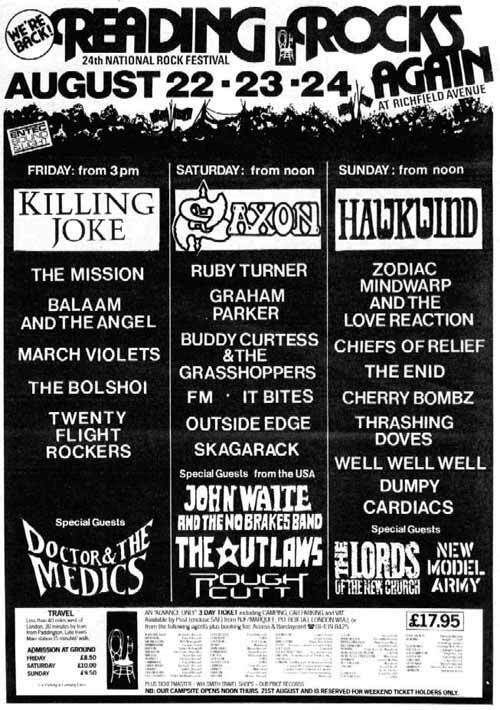 Sadly, the BBC didn’t air the whole set and cherry-picked just 9 songs for broadcast. Much of the broadcast has since been available on Saxon’s BBC Sessions album but this album download (available on Amazon/iTunes etc…) now presents the complete 9 song, 51 min broadcast as it was originally aired. 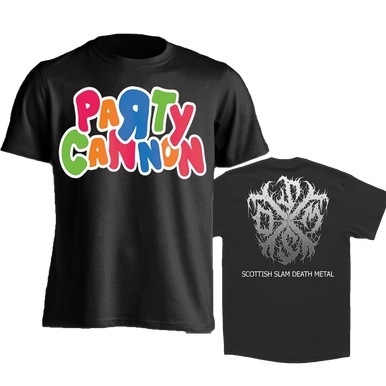 It’s fairly heavy on the classic material and if you didn’t know what year it was from you could be forgiven for thinking this was the band in their NWOBHM pomp. Only two new songs give the game away: an excellent version of Rock the Nations that fits right in with the older material and a performance of Waiting for the Night which… doesn’t. It’s actually a pretty good version of the track but its pop rock breaks the spell cast by glorious versions of metal powerhouses like 747 (Strangers in the Night) and Wheels of Steel. On the bonus side it’s the song here that gets played least often so it’s good to hear and own a live version of it. A bit of a mixed bag then! That one hiccup aside, the rest of the performance is impressive. The band is on winning form and the crowd sound like they’re lapping it all right up. While new bassist Paul Johnson didn’t command the stage like Steve Dawson he acquits himself well musically. Never Surrender and 20,000ft give the classic The Eagle Has Landed live album versions a run for their money and an excellent Strong Arm of the Law climaxes with a wailing Graham Oliver solo (with some Sabs and Hendrix thrown in for good measure). The real highlight, though, is a captivating The Eagle Has Landed which puts its studio counterpart firmly in the shade. The vintage quality of this performance must have been heartening stuff for fans troubled by the recent studio albums but any hopes for a return to form would soon be dashed. The Rock the Nations album proved disappointing and, frustrated by the way the band was being managed, Nigel Glockler would leave the band at the end of the tour to join GTR. 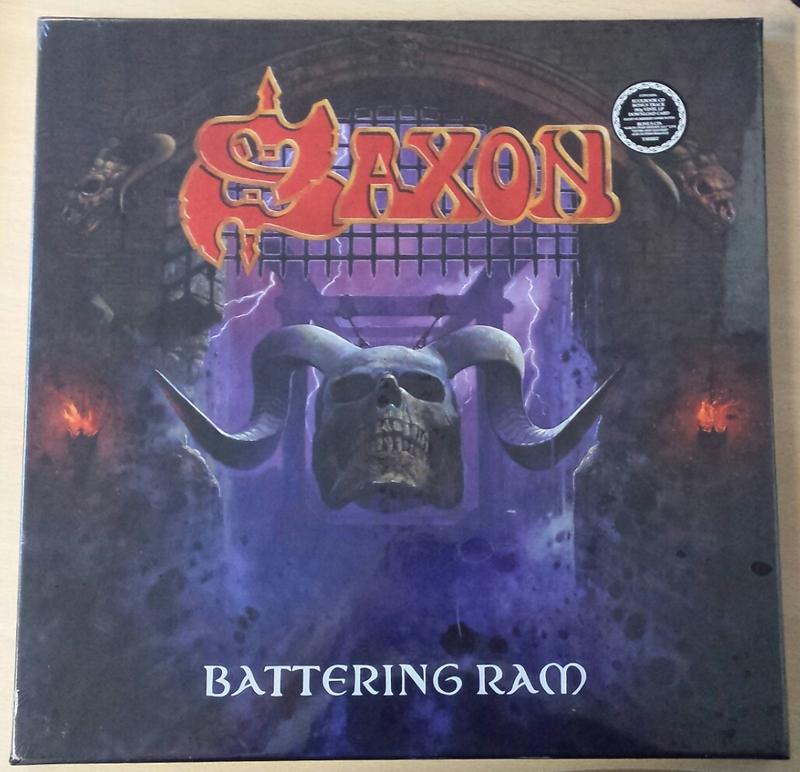 And Saxon’s next, and last, studio album for EMI would be a desparate gamble that would test the patience and loyalty of their fans more than any other yet.